TBR for the Book Riot Read Harder Challenge — TBR, etc. Today I’m sharing the books that I'm going to try to read to meet the categories for this year's Book Riot Read Harder challenge. I like having a plan, and if I have a list to work from I’m more likely to complete the tasks. Book Riot does a fantastic job curating their own lists, many of which helped me build mine. Their list for an #Ownvoices Book Set in Mexico or Central America list, for an #OwnVoices Book Set in Oceania, and a book of Manga were especially helpful to me. There's also a Goodreads group full of recommendations from other readers who are participating in the challenge. To stay on track, I’ll need to average two of these choices per month. So far, I've completed A Book By a Journalist or About Journalism (Columbine, Dave Cullen), A Translated Book Written By And/Or Translated By a Woman (An Elderly Lady is Up to No Good, Helene Tursten), and A Book of Nonviolent True Crime (The Library Book, Susan Orelan). Here is my TBR list for the Book Riot Read Harder challenge! 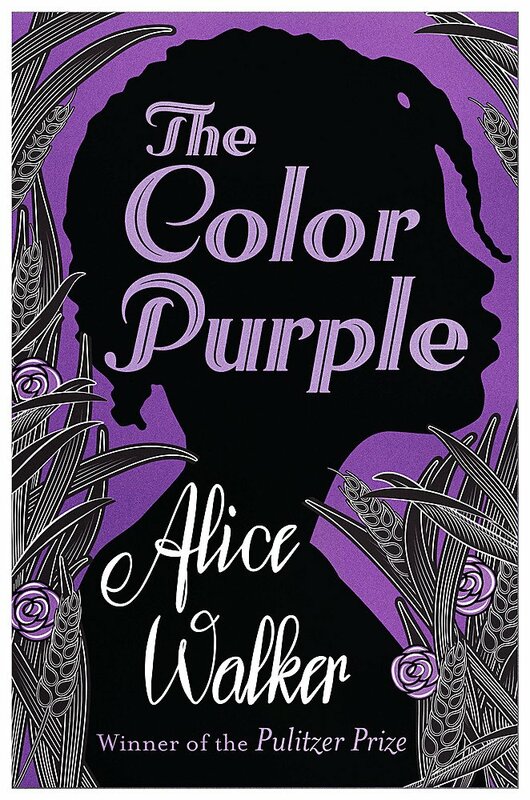 The Color Purple, Alice Walker | A classic that’s beloved by so many! It won the Pulitzer Prize and National Book Award for fiction in 1983/84. All Our Wrong Todays, Elan Mastai | A man from the utopian 2016 of flying cars, moving sidewalks, and life on the moon gets stuck in modern day 2016, thanks to a stupid decision he made after getting his heart broken. The Poet X by Elizabeth Acevedo. This won the Award for Young People’s Literature. It’s the story of a Dominican American girl who comes into her own after getting into slam poetry. I’m going to get this on audio- I hear it’s great in that format. Dreyer’s English by longtime Random House copy chief Benjamin Dreyer. It’s equal parts grammar and humor and one that I think I need to purchase for my shelves. Dawn by Octavia Butler. If I’m being honest, this category is probably the one I’m least excited for. But the purpose of this is to branch out, and if I’m going to do it I’ll put my trust in an Octavia Butler. For the #OwnVoices books, I’m looking for a book written by someone from a marginalized population with diverse characters. (The authors may not be marginalized in their own country but are considered marginalized in American publishing). I’m going with the She-Devil in the Mirror by Horacio Castellanos Moya, translated by Katherine Silver. This is a mystery/thriller set in El Salvador and is about a woman’s obsession to figure out the mystery of what happened to her friend, who was shot in cold blood in her living room. The Whale Rider by Witi Ihimarea- a novel set in New Zealand who craves the attention of her grandfather, who has no time for her because she’s not the mail heir he wanted. I’ve never read a book set in New Zealand, so I’m interested to learn more about that part of the world. There are a lot of options that I could go with for this category, but I think I’m going to pick Killing It by Camas Davis. It’s a memoir of a magazine writer turned butcher. I love food memoirs and I’m especially interested in reading about butchery from a woman’s perspective. I had to look this up, but manga are basically comics from Japan. I have no experience with this, but I think I’ll go with My Brother’s Husband by Gengoroh Tagame. It’s an “unprecedented and heartbreaking look at the state of a largely still-closeted Japanese gay culture”. Fox 8, George Saunders. 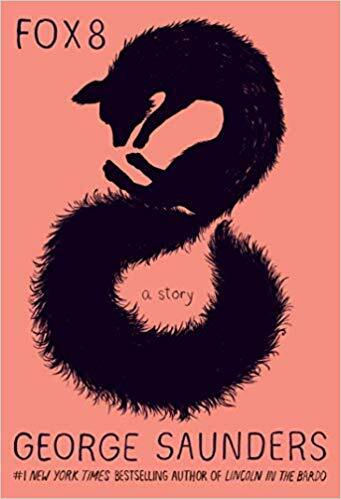 A novella about a fox who learns how to understand humans and the unintended consequences humans have on nature. Look Me in the Eye: My Life With Asperger’s by John Elder Robison. I read this once already many years ago, after learning about John Elder Robison from Augusten Burrough’s books (he’s his brother). I remember really enjoying it and also appreciate that this has an additional layer of it being #ownvoices. I’m going with an Agatha Christie book- a classic! 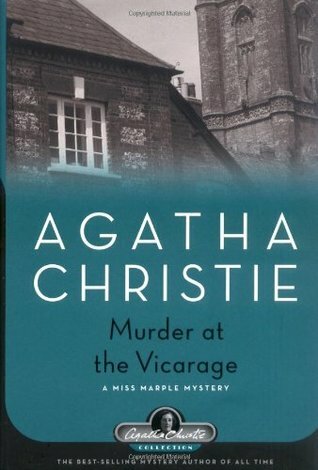 Murder at the Vicarage is the first book in the Miss Marple Mysteries series. I’ve never read Agatha Christie so I think it’s high time. Circe by Madeline Miller. I hated the mythology unit in Freshman year English and it still haunts me. I know Circe got huge buzz last year (and was picked as Book of the Year by Book of the Month), so I do want to see what the fuss is all about. I like books about productivity/leadership/authenticity, so I think this will be an enjoyable category. Right now, I’m looking at Tribe of Mentors: Short Life Advice from the Best in the World by Tim Ferris. I find Tim Ferris to be kind of offputting, but there’s no denying his success. He interviews some of the most influential and successful people across a wide range of industries and asks them a series of questions such as “what purchase of $100 or less has positively influenced your life in the last year?” and “do you have a favorite failure of yours?" 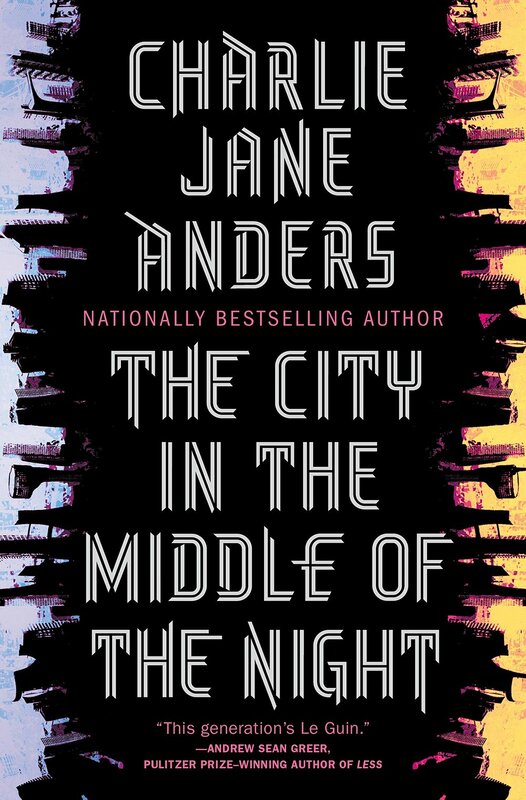 I think I’ll go with The City in the Middle of the Night by Charlie Jane Anders for this one. It comes out on Tuesday and is science fiction/speculative fiction about life on a dying planet that has one side with permanent night and one with endless sunshine. 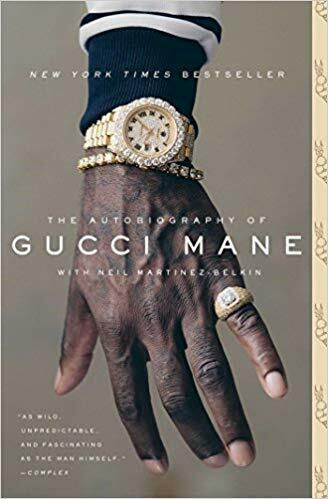 The Autobiography of Gucci Mane. Seems like a random pick, but I’ve seen a ton of great reviews about it and Roxane Gay’s review of it amused me. The Chilling Adventures of Sabrina by Roberto Aguirre-Sacasa. I loved Sabrina the Teenage Witch growing up and definitely want to start on the new Netflix adaptation. I was also a huge fan of Archie comics when I was young and I think I’ll like the author’s vibe. A Few Red Drops by Claire Hartfield. In 1919 Chicago, five black youths went swimming in Lake Michigan, unintentionally floating close to the "white" beach. An angry white man began throwing stones at the boys, striking and killing one. This won the Coretta Scott King Book Awards for 2019. I had to pick it up, with Chicago being my city. 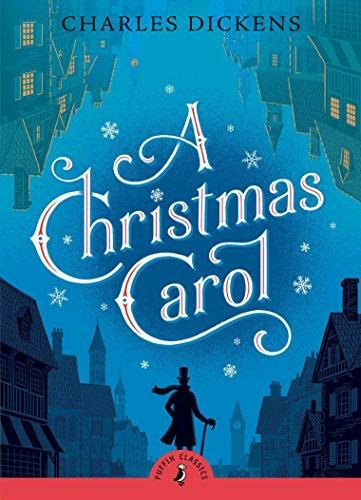 So this might not necessarily be in the spirit of the challenge, but A Christmas Carol by Charles Dickens was originally self published. He was desperate to make money and paid to have his book printed. I’m counting it. I used to really like poetry in high school and I hope to get back into it. I’ve seen Milk and Honey by Rupi Kaur everywhere so figured I might start there. What’s everyone else reading for the Book RIot Read Harder Challenge? ?